What Are the Best Tasting Protein Shakes? Many people in the lifting world do not realize how truly bad some protein shakes can taste. Old leather comes to mind, as does moldy socks. 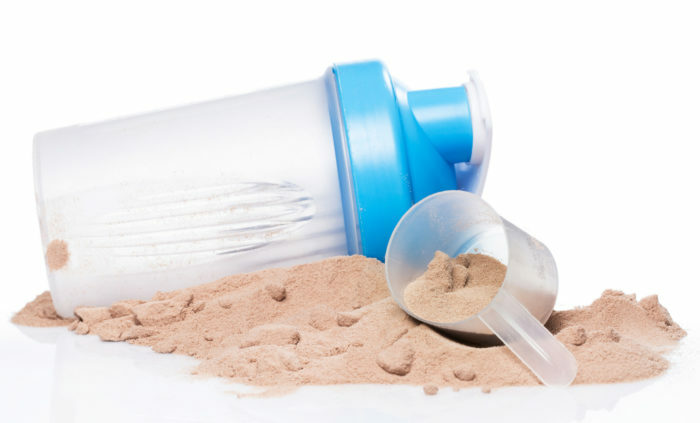 Somehow, with all of the technology and innovation available in the world today, protein shake manufacturers have not found a way to answer a simple question: what are the best tasting protein shakes? Obviously, someone will come in and tell me that it shouldn’t matter what the shake tastes like, as long as it gets the job done. The reality is, when you work as hard as many of us do to perfect your body, it means you have to watch every chicken bone and grain of rice. True bodybuilders do not spend much time at the Jack in the Box. When it comes down to a few hundred calories, which is really just a donut, every single calorie counts. And when every single calorie counts, you want to enjoy as many of those little individual calories as you can. In fact, this is why we drink shakes, right? If it were just about a supplement, we could take pills or drops. Heck, we could even just have a protein bar, some of us do. The point of calling it a “shake” is that at least we get to pretend like we’re pulling up to an old-school diner and ordering a chocolate shake. Yes, we all know it isn’t actually just blended ice cream, but again, when you are counting calories, imagination goes a long way. Of course, everyone has different taste buds and will be looking for different flavors. The nice thing is that many of these protein shake manufacturers who do pay attention to taste, actually offer a variety of flavors, vanilla, chocolate, and even strawberry. Again, when you’re desperate for a little variety in your diet, even a strawberry protein shake can lighten up your day. Mutant Pro has taken a taste to a whole new level. This is a company that learned of weightlifters’ distaste for foul tasting protein shakes and answered the call. This protein powder packs a mean punch with 25 grams of protein for an intense workout recovery and rebuild. Meanwhile, it offers flavors like birthday cake and peanut butter. Build muscle and enjoy a shake? Sounds like a dream come true. BPI markets itself as “as good as a cheat meal.” How can you compete with that? It is designed as a recovery shake, and it goes further to note its lack of “chalky” aftertaste. This shake comes in cookies and cream flavor and promises to be rich, creamy, and smooth in texture. BPI also introduced a brand new flavor, brownie. You could have a brownie shake after your workout. Imagine what life was like for the poor guys who had to throw a banana and a raw egg into a blender just 20 years ago with Rocky Balboa. Now we get to decide between cookies and cream and brownie. And that’s just with BPI. Click here to view BPI Sports Protein Advance on Amazon. This claim means that the strawberry “flavor” is actually flavored by strawberries. For those of us who think a bit more carefully about what we put into our bodies, this all natural approach can be incredibly reassuring. When we put so little into our bodies as it is, it is helpful to know that what we do put in there is not filler or chemically produced in a lab full of toxins. Click here to read more about Legion Whey Protein Powder on Amazon. With so little space to describe its product, Myotein is sure to let its consumers know that it is chef-approved flavor. This is another shake that offers flavors like strawberry banana and milk chocolate, to mix things up for weightlifters. Myotein also packs 25 grams of protein into each shake. It is easy to get bored quite quickly with the same flavor of shake every single day. We start to take milk chocolate or vanilla for granted, and we stop looking forward to what should be a treat. It is helpful when these companies make an effort to mix it up. Click here to see the pricing for the Myotein Protein Powder on Amazon. BSN only includes 22 grams of protein in its shakes, but what it lacks in protein, it makes up in fiber. Fiber is something not often spoken of in the world of weightlifting but is essential for good digestive health. With all the protein, dairy, and bodybuilding taking place, it can be really easy to get constipated. The last thing anyone wants to deal with when taking so much care with his body is getting backed up. As if weightlifters don’t deal with enough strain and pain. Furthermore, BSN makes an extra effort to offer a variety of flavors in its thick, creamy shakes. You’ll find banana, cake batter, and chocolate among them. Click here to see Amazon’s current pricing on BSN SYNTHA Protein Powder. Flavor is such an important component involved in diet and exercise. The human body was given taste buds for a reason. Sure, you can be a martyr and swear that flavor doesn’t matter to you. Real men don’t care about flavor; they care about bulking up, right? Wrong. Why not enjoy the little food and drink we have available to us when we take such meticulous care of our temples. If what we should be drinking is water in this moment, fine. But when we are actually drinking a shake designed to recover and repair our bodies, why should it have to taste like cardboard or engine oil? The answer is, it shouldn’t, and the list above proves it. When you look around and you realize that the variety of good tasting shakes is as large as it is, that you can have a strawberry banana post workout drink, or a cake batter pre-workout shake, you will thank me.